Tuesday night here is Taco Tuesday! I LOVE Mexican food. Before Mr. 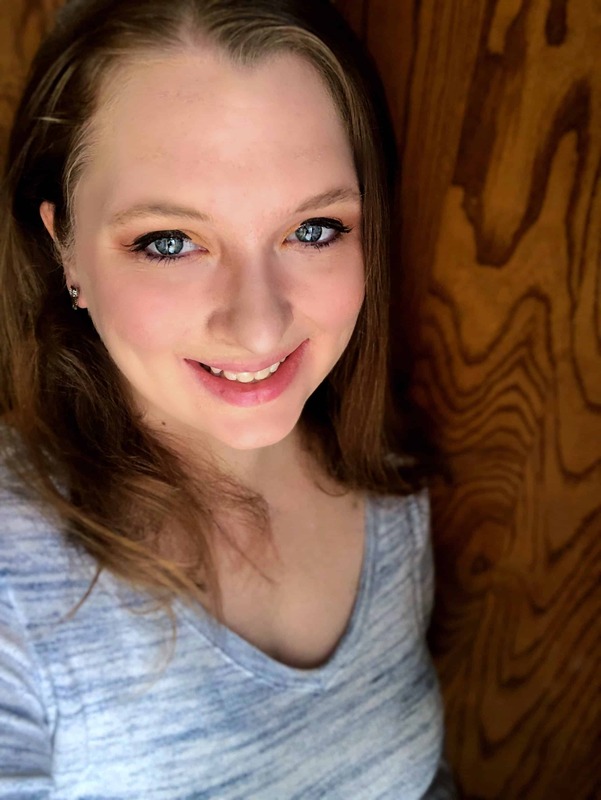 Simple and I got married, we would eat at a Mexican restaurant every Wednesday night. It was our cute little tradition. My favorite part of eating at that restaurant was the rice. It was sooo good. 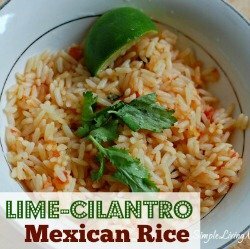 Now that we rarely eat out, I’ve been searching for a way to replicate that yummy rice for Taco Tuesday. I think I have figured out a delicious recipe that comes close to replicating the rice you get in the restaurant, but adds a little twist! 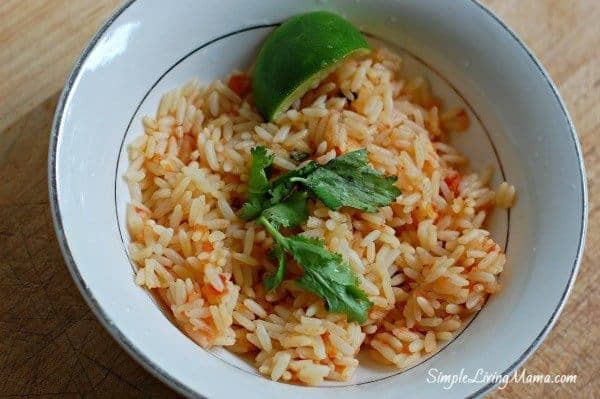 Cilantro Lime Mexican rice in the dutch oven is incredibly easy and so delicious! Now, if I had thought about it, I would have taken pictures while I was cooking the rice, but I wasn’t sure how it would turn out. It was so delicious that I had to share the recipe with you! Begin by using a food processor to blend the canned tomatoes and chilies with the onion and garlic. 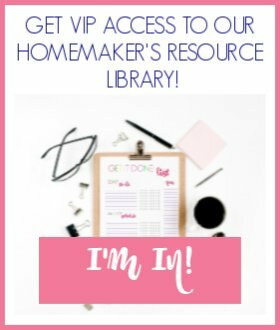 Transfer to a measuring cup and reserve 2 cups exactly. Rinse rice in a fine mesh strainer. Do not omit this step if you want fluffy rice. Heat dutch oven over medium heat, add oil and rice. Saute rice until it becomes golden. Add broth and tomato puree and bring to a boil. Secure pot with a tight fitting lid and transfer to the oven. Cook for 30-35 minutes until all liquid is absorbed. 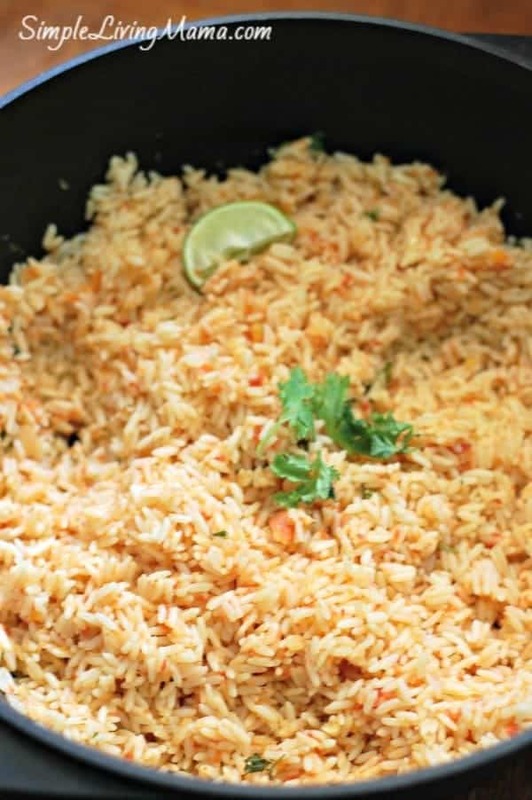 A Mexican rice cooked in the Dutch oven. 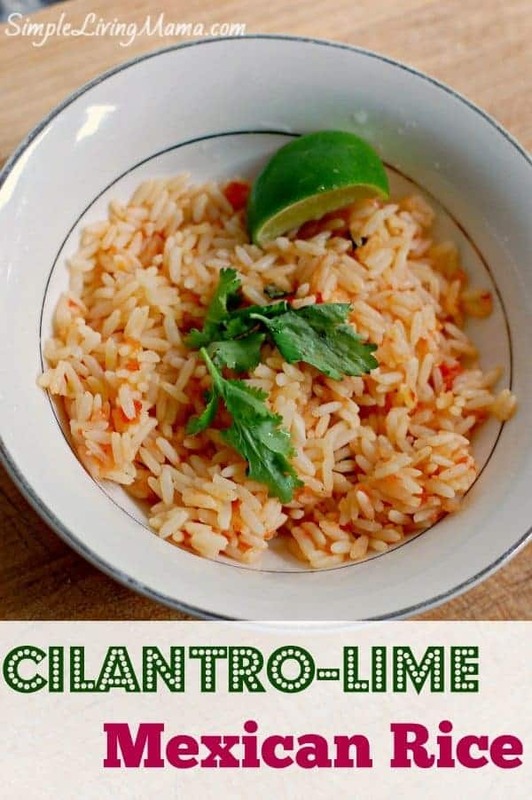 Add cilantro and lime for a refreshing twist! You must rinse the rice if you want it fluffy! You can also cook this recipe on your stove top. Want all our posts delivered to your inbox? Subscribe to our weekly newsletter to stay up to date!